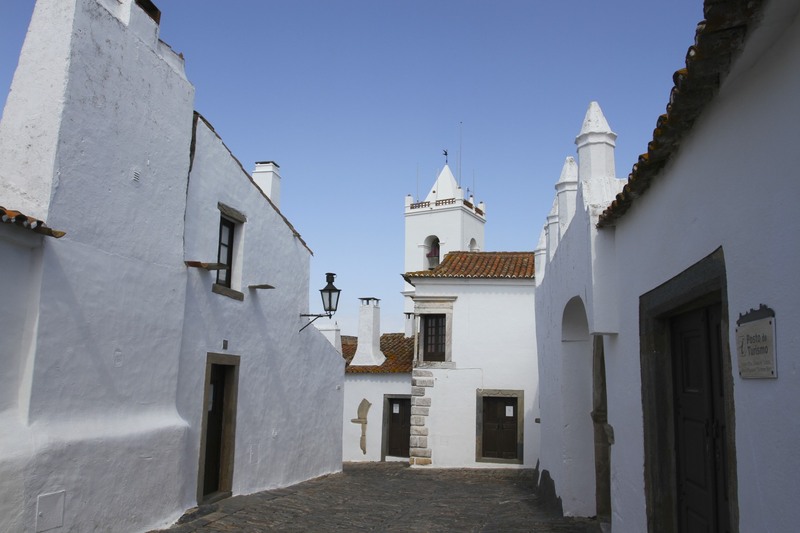 Perched high on a hilltop, Monsaraz has spectacular sweeping views over the surrounding plain of cork and olive trees; the watery blue expanse of Lago Alqueva, the largest artificial lake in Europe, providing drinking water and electricity to the rest of the region and to Lisbon, stretches into the distance. 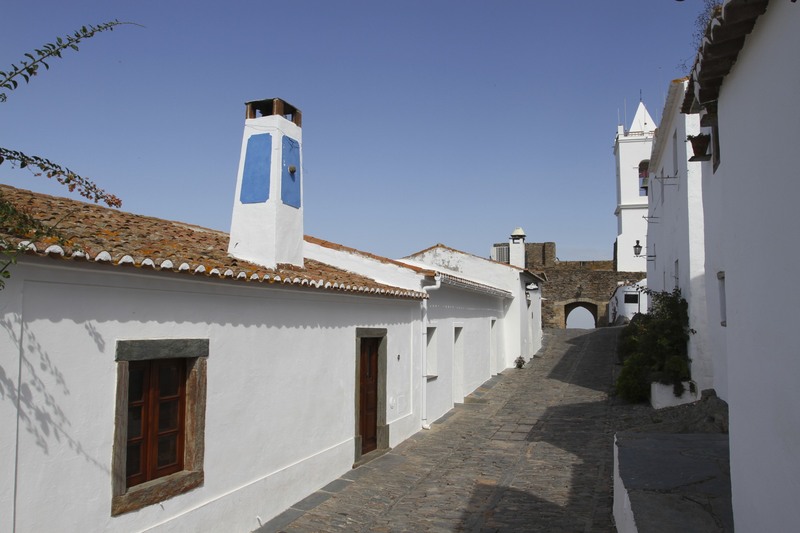 This is a place to put the modern world behind you, somewhere to find a shady place to sit and watch the world stand still – preferably out of the searing heat. 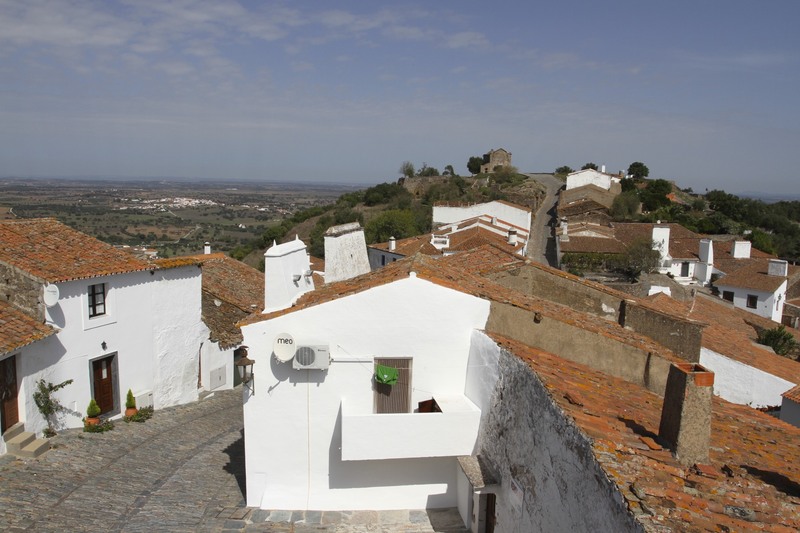 Monsaraz is the sort of place that you read about or see in movies, a fantasy place not somewhere that actually exists. 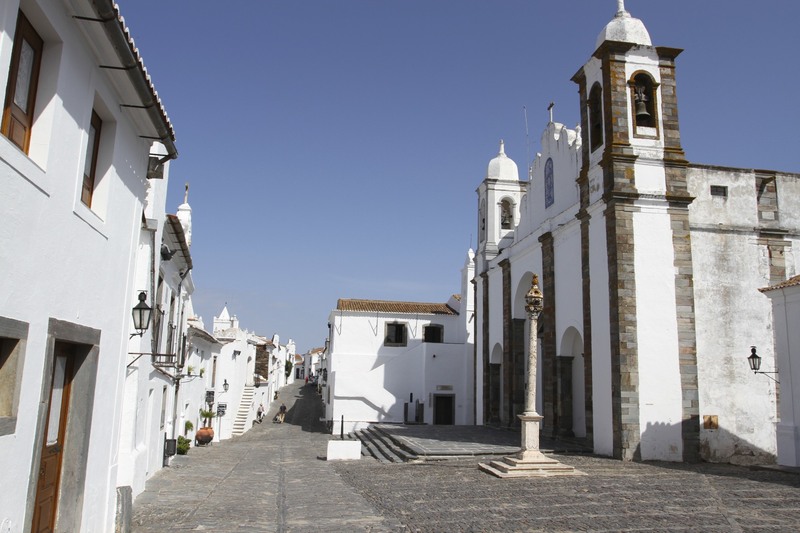 The picturesque streets are full of history and atmosphere – many of the whitewashed houses with red tiled roofs are over 300 years old. At midday there’s barely a person to be found or a noise to be heard. That’s tradition for you. 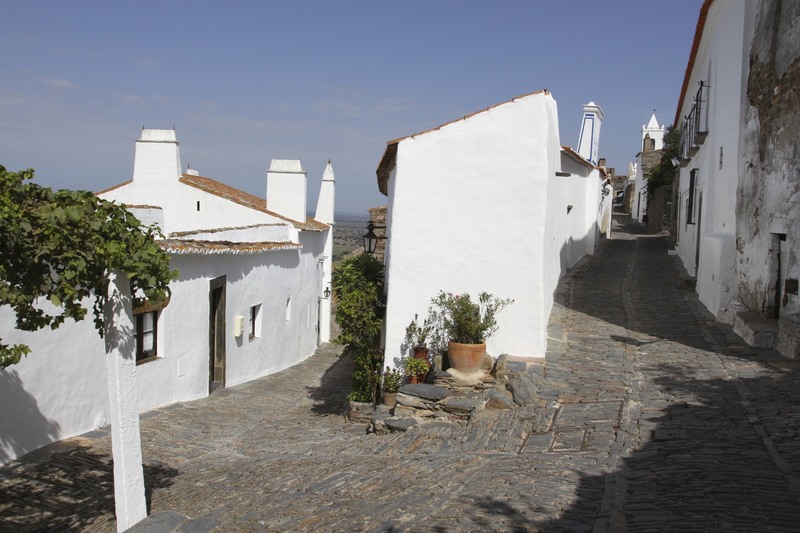 The village is home to only a few hundred people, it has two roads and (a luxury in modern Europe) it’s car-free. 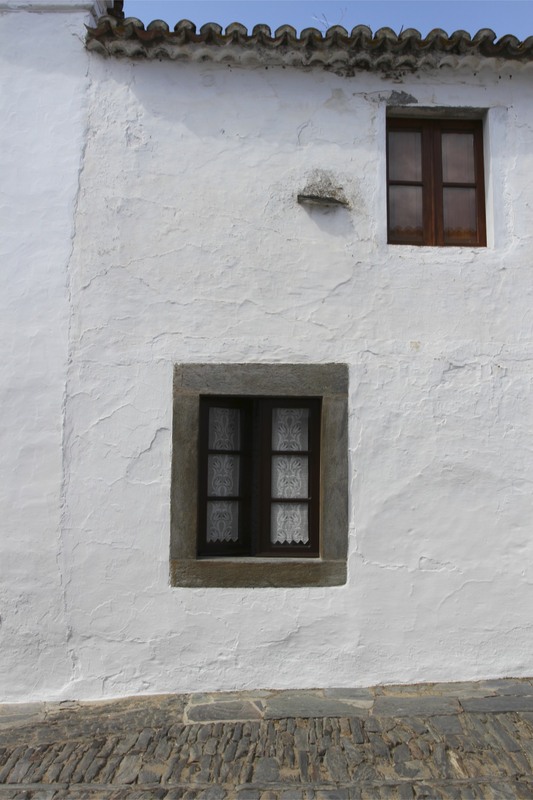 We walked the streets, occasionally grabbing views from between the houses, and finally found a small restaurant serving Carne de Porco à Alentejana. 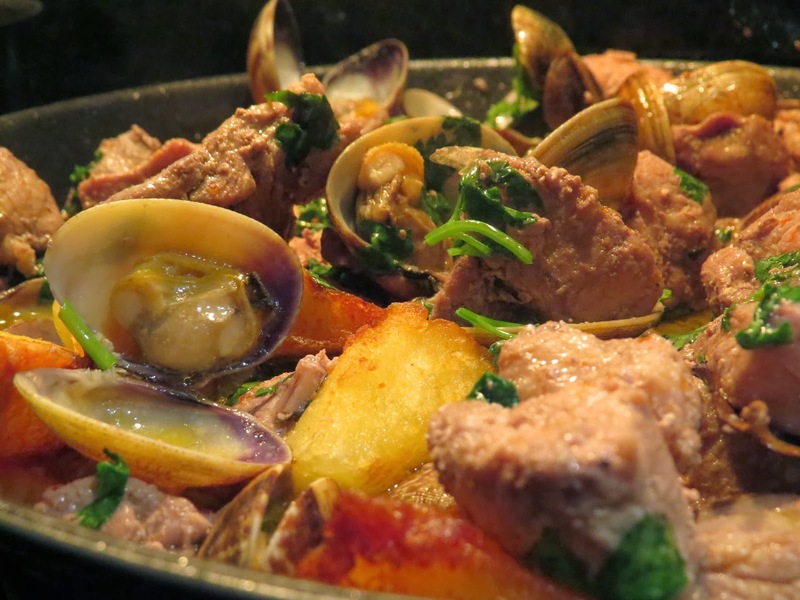 This regional speciality of braised pork and clams is a must if you’re in the area, wash it down with a glass of chilled local white wine for the full effect. Delicious. 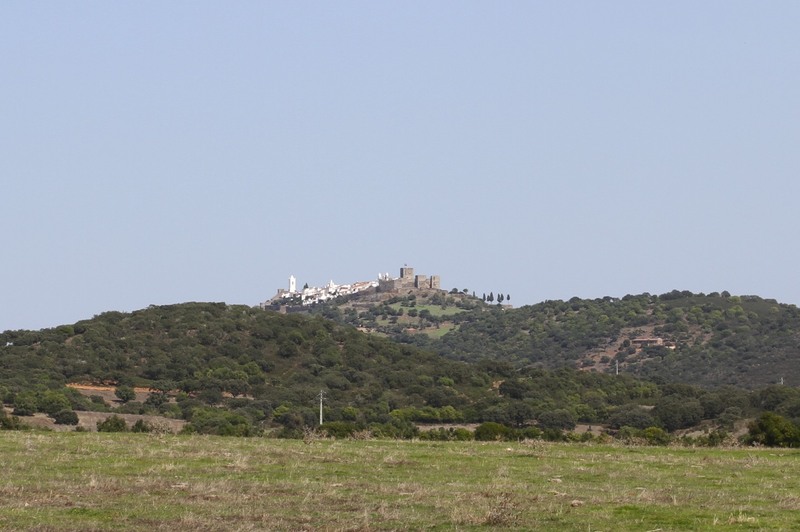 The hilltop where Monsaraz now sits, and where I sat digesting a hearty lunch, has been occupied since prehistoric times. 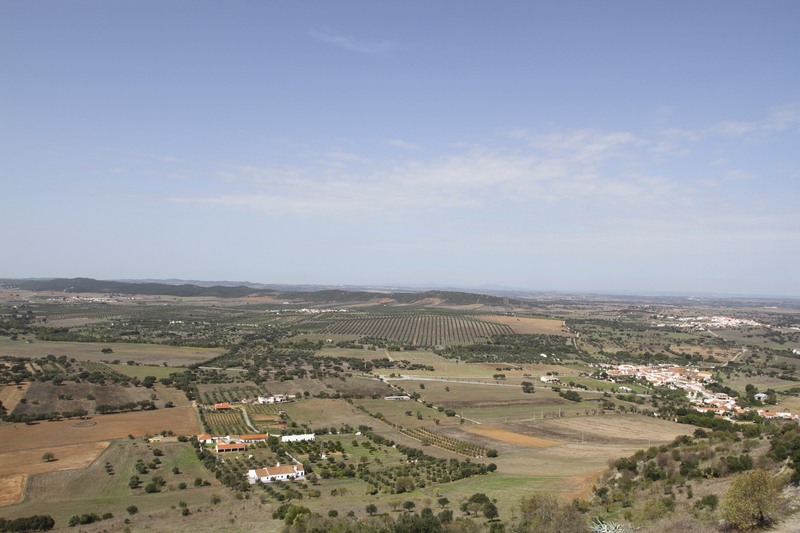 There is plenty of evidence of Neolithic peoples around this area. 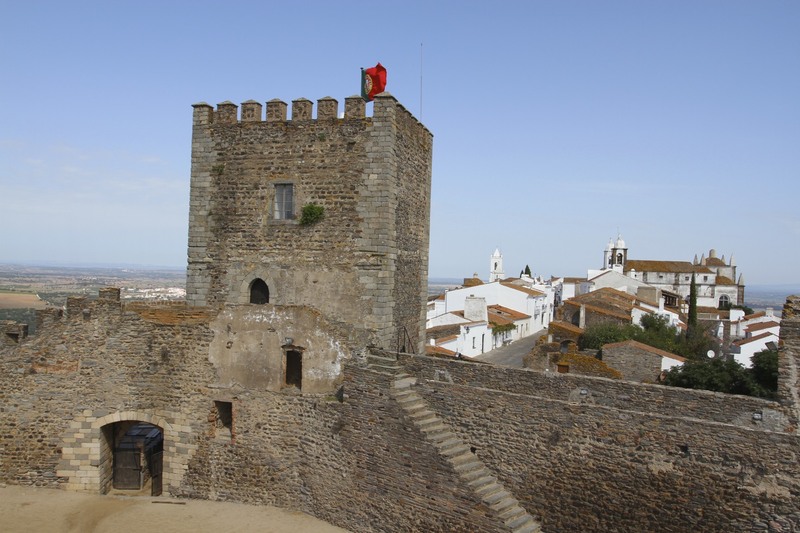 It became a Roman garrison, later captured by the Visigoths. 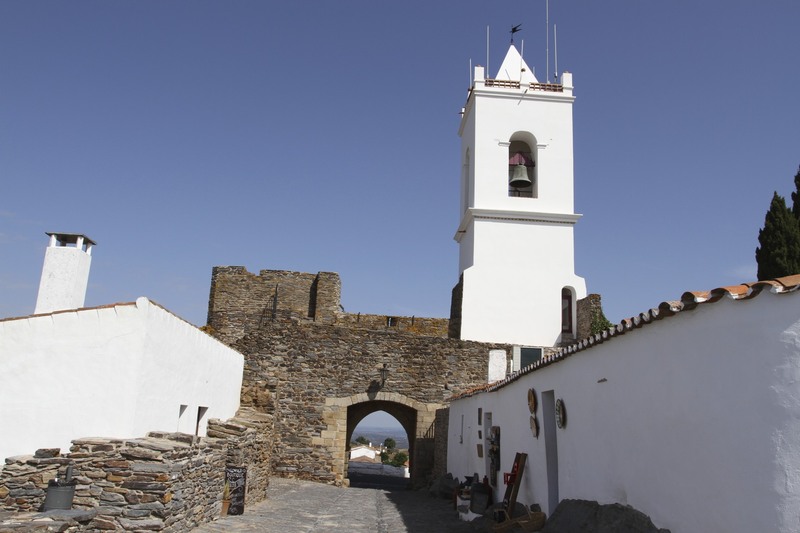 The Moors occupied the village more-or-less continuously until 1167, when it fell into the hands of the Knights Templar, who would go on to fortify the village further and control the surrounding area until being disbanded in 1312. 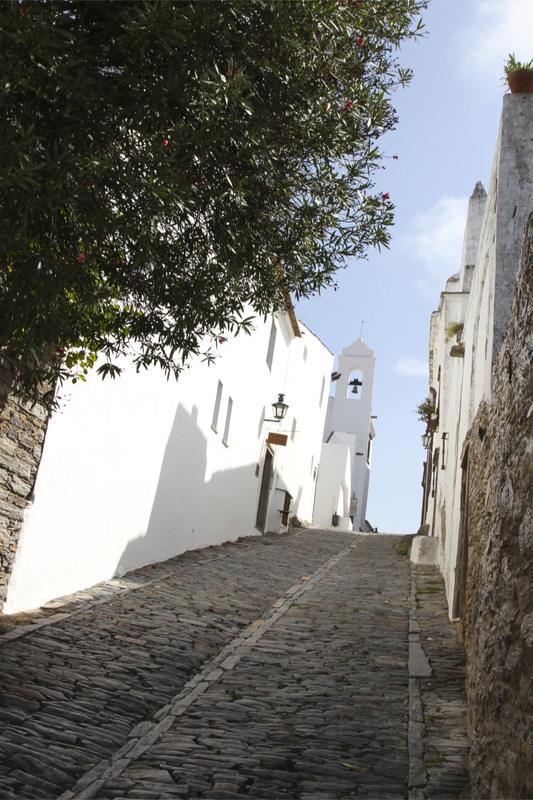 The village retains a medieval atmosphere, with steep, narrow cobbled streets weaving between the whitewashed houses. 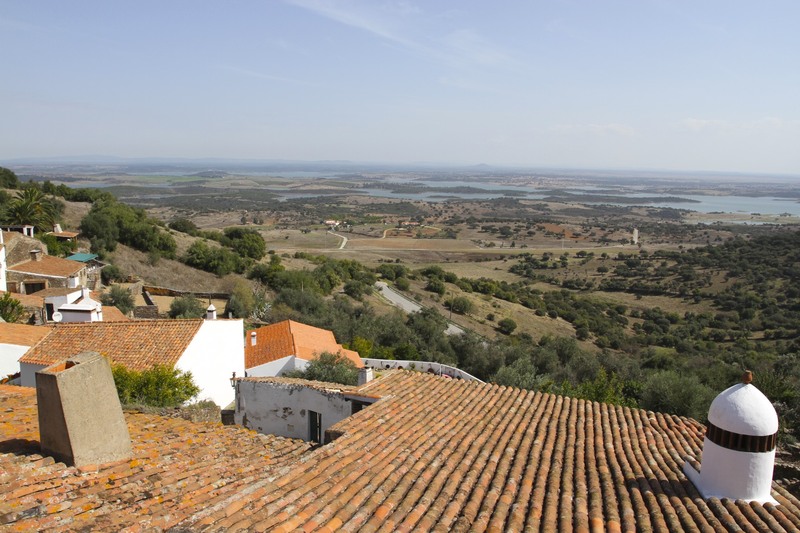 From the walls of the 13th Century castle there are panoramic views over the beautiful countryside towards the Spanish border; the views over the red roofs of the village are no less dramatic. It’s all a bit picture postcard perfect; I suspect in the tourist season there may be roving packs of bus tours making things less pleasant. 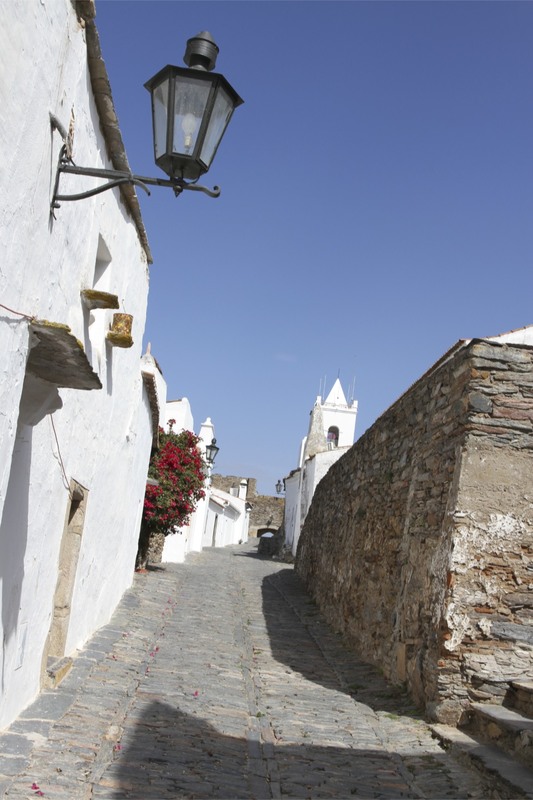 In autumn, strolling around, eating and having the occasional glass of local wine seem to be the main activities in Monsaraz. Let’s just say people don’t come here for the nightlife – unless it’s star gazing. 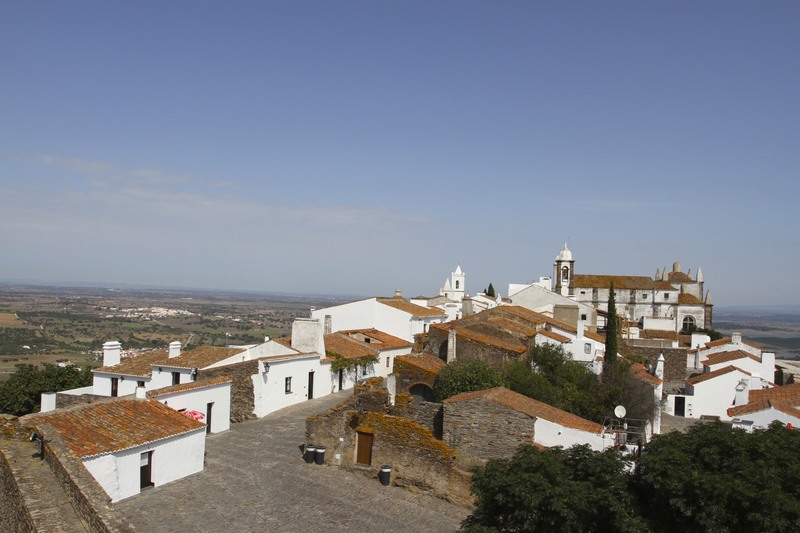 Monsaraz claims to have the darkest, clearest nights in Western Europe. Somehow that seems entirely plausible. Sitting in the shade while watching the world not pass by, I think I understood exactly what he meant.